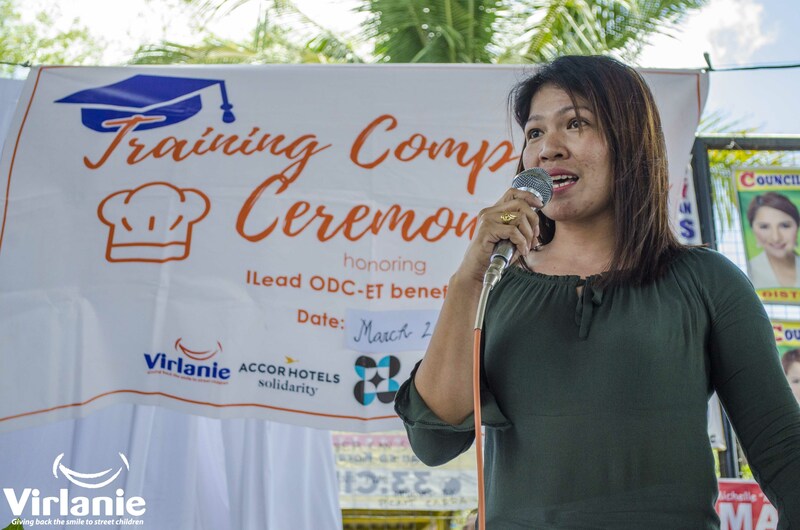 Virlanie’s ILead Open Day Center for Education and Training (ILead ODC-ET) held its Completion Ceremony for its 8th batch of mothers and young women trainees at Brgy. 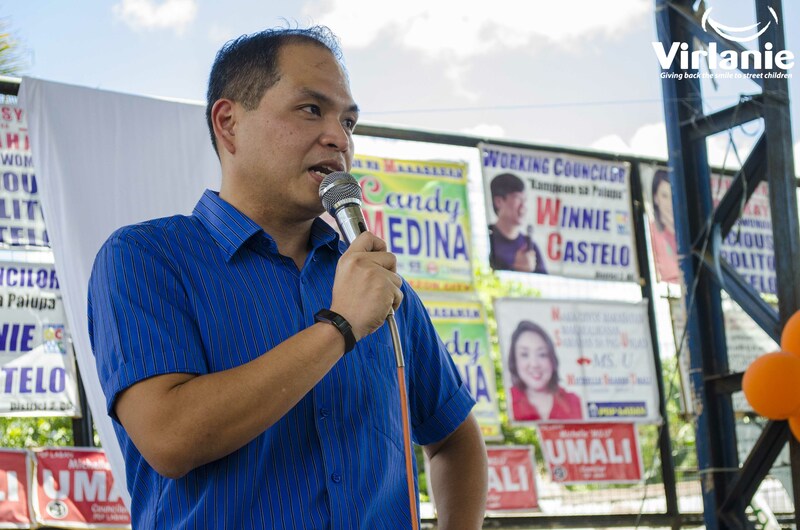 Bagong Silangan, Quezon City last March 20th, 2019. 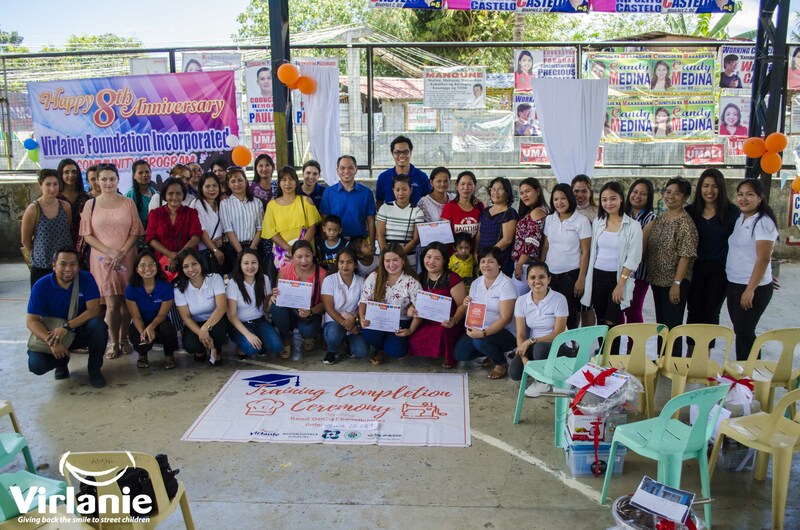 The graduates and staff were also joined by Virlanie’s partners from Solidarity Accor Hotels, Department of Science and Technology – National Captial Region (DOST-NCR), and Department of Social Welfare and Development (DSWD) to celebrate the completion ceremony. 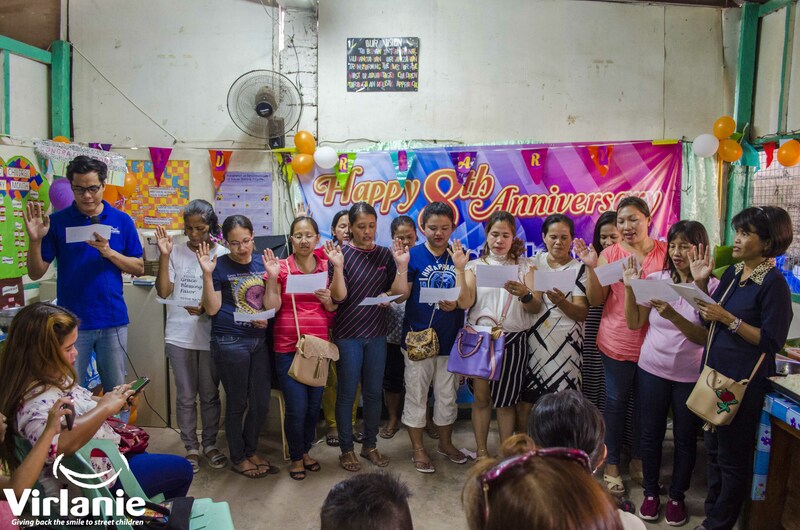 Twenty-two (22) trainees from Quiapo and Bagong Silangan graduated from ODC-ET’s livelihood trainings: baking, cooking, sewing, and beauty care. 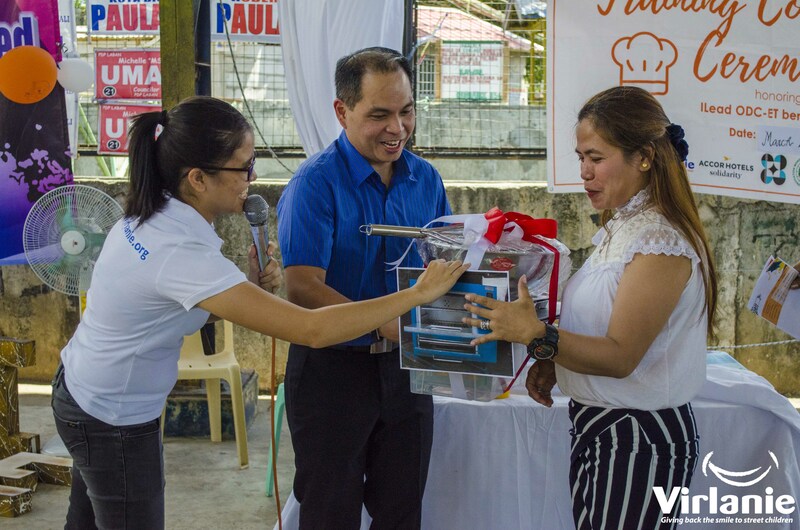 Twelve (12) of the graduates who availed microloans received their baking (which includes an oven), sewing (which includes a sewing machine), and beauty care packages and equipment. 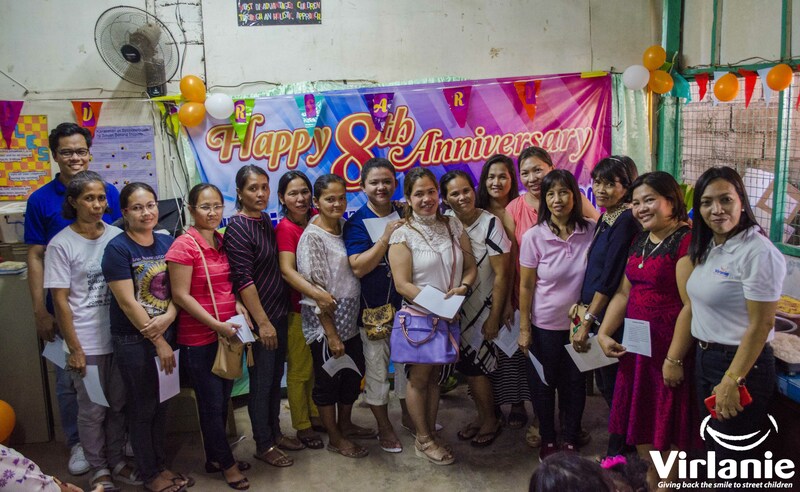 Janet Odon, 39, ODC-ET baking trainee and a mother of four children, says in her testimony, “Kung wala po yung Virlanie, ay wala kami ngayon…Naging excited po ako kasi kahit maging pagod ako, puyat ako, habang nagluluto ako magdamag, naiapply ko yung natututunan ko tapos kinabukasan (binebenta ko sa) naman sa Commonwealth, lahat ng puyat saka pagod ko nawala kasi nasosold out po doon sa Commonwealth. 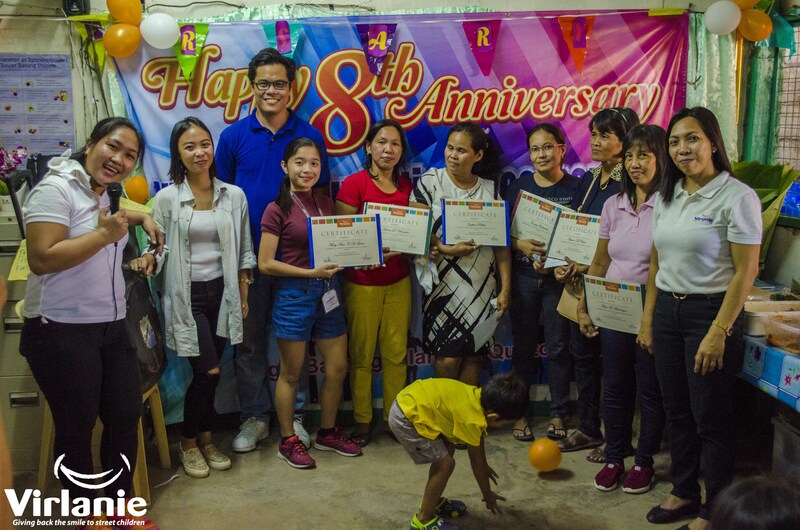 Tapos yung mga customer ko, sinasabi ‘Ate ang sarap naman po nito, bukas oorder po ako ulit, damihan mo pa (If Virlanie wasn’t here, we wouldn’t be here either…I was really excited because even if I get tired and stay up late just to train and make the baked goods, I am happy because I get to apply what I learned and sell them, and also get to have customers along Commonwealth avenue where my baked goods are always sold out. They would say that ‘This is so delicious! I will order again and bring more next time’). 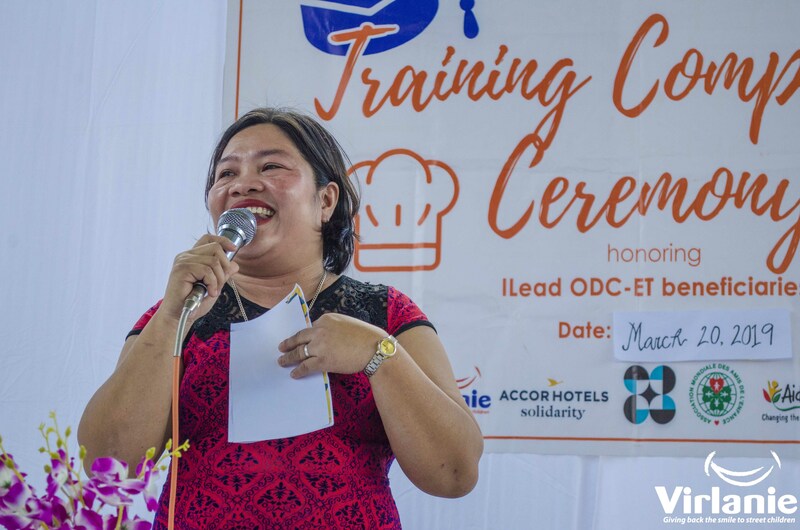 Janet also sells various dishes in the morning to help increase her family’s income, apart from being a full-time mother and part-time ODC-ET trainee in the afternoon and evening. 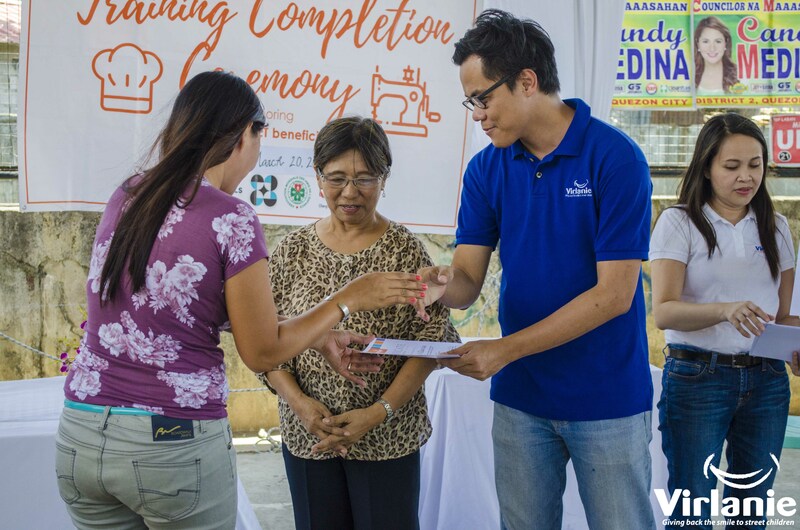 She believes that through her newly acquired skills, she will be able to have a better, more stable additional income source for her family. 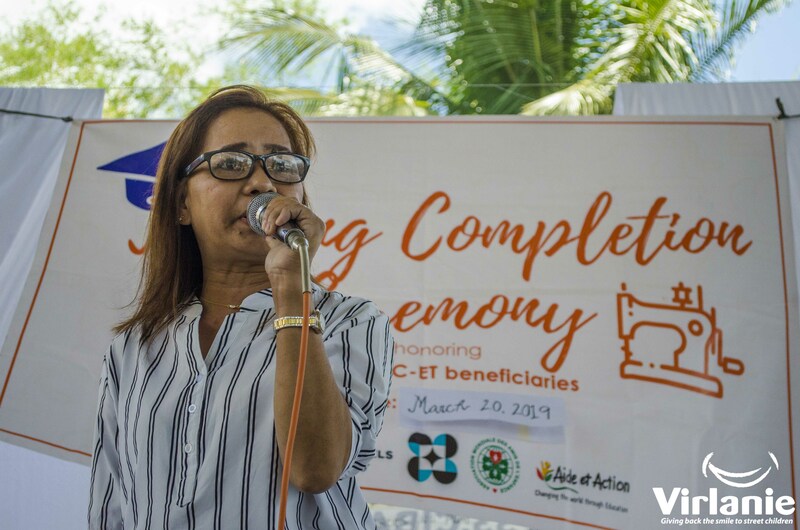 “Bilang isang nanay hindi lang pala natin masasabi na busy tayo, kasi busy tayo kahit anong gawin natin, hindi matapos-tapos ang trabaho natin sa bahay, kaya po ineencourage ko po (ang ibang nanay) na kailangan po nating mapalago ang skills natin para madagdagan ang ating kita. (As a mother, we can’t just say that we are busy because whatever we do, our tasks never end at home, that’s why I am encouraging other mothers to improve our skills so we can also increase our family income),” she continues. 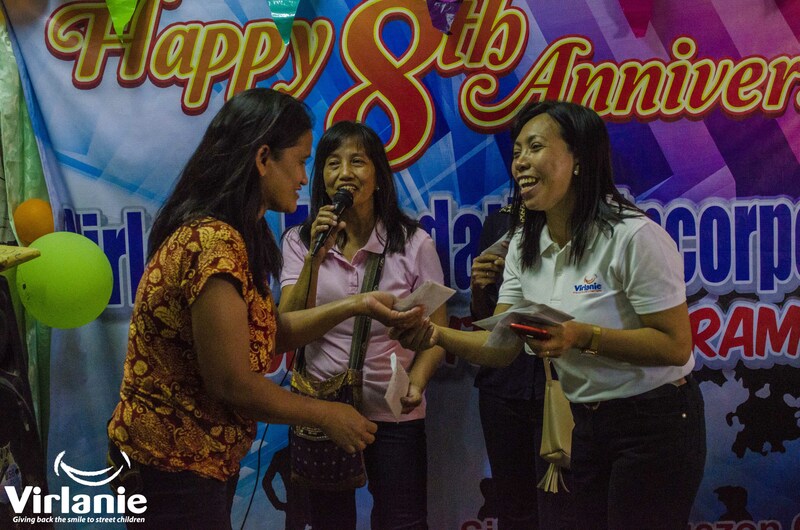 Subsequently, Virlanie’s Bagong Silangan community celebrated its 8th anniversary. 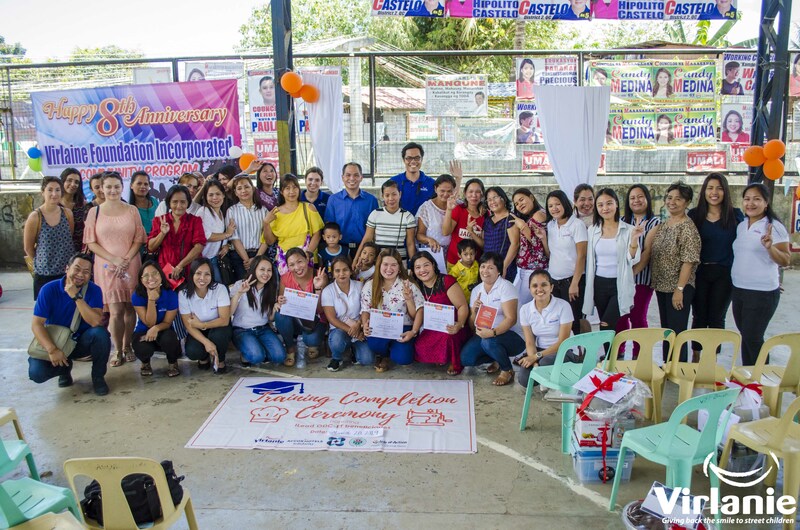 All Virlanie beneficiaries and sponsored children shared a hefty lunch prepared by the community leaders and training completers. 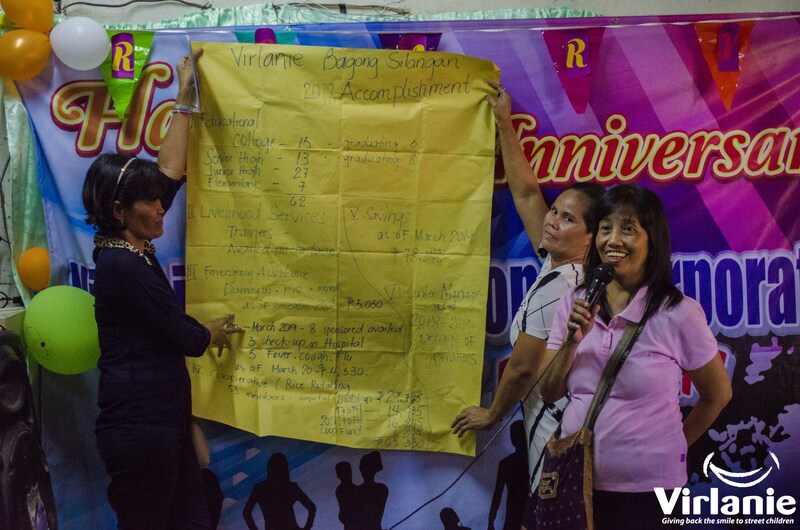 This was followed by the oath taking of their new community leaders, awarding of mothers who have been long-time beneficiaries and supporters of Virlanie in reaching out to more families in need within their community, and distribution of their rice cooperative profits and donations from Lifestyles among its members. 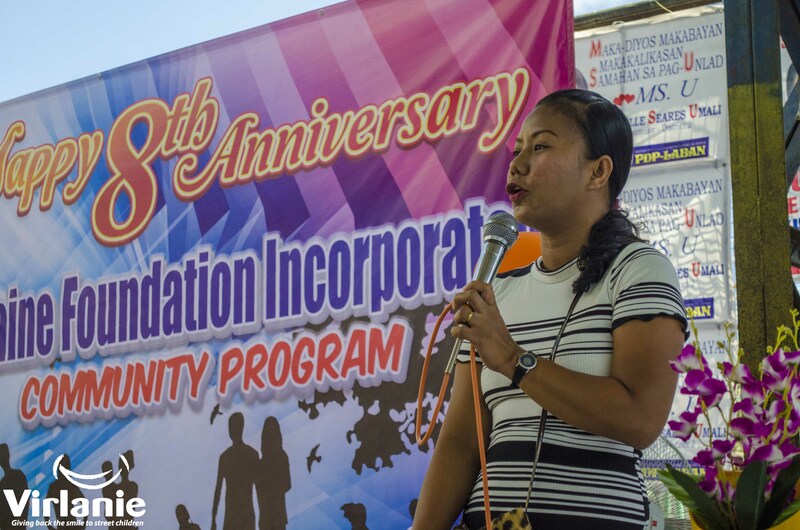 Virlanie’s community pillar seeks to strengthen families to prevent abuse and neglect of children and youth through the Family Program and ILead Open Day Center for Education and Training.